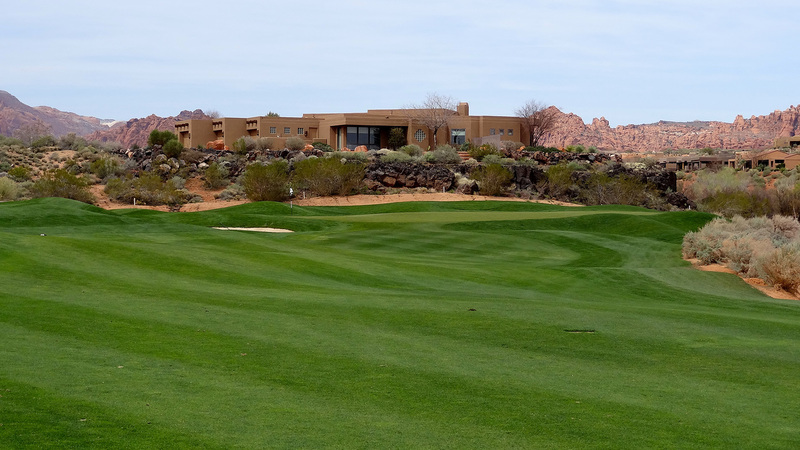 Signature Hole: 16th – 563 Yard Par 5 – The signature feature of Entrada is the dark lava rock that encompasses the finishing holes on the back nine. 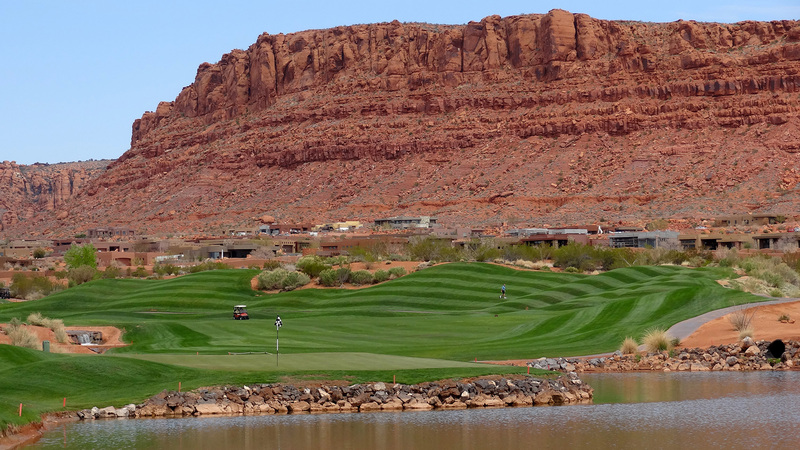 The double dogleg 16th hole features an intimidating tee shot where more rock is visible than fairway. Precision, not brute strength, is the key to negotiating the trouble found on this challenging hole. Going wayward on this signature hole will either give you a fortunate kick back to the fairway or put a nasty slice in your ball before engulfing it forever. 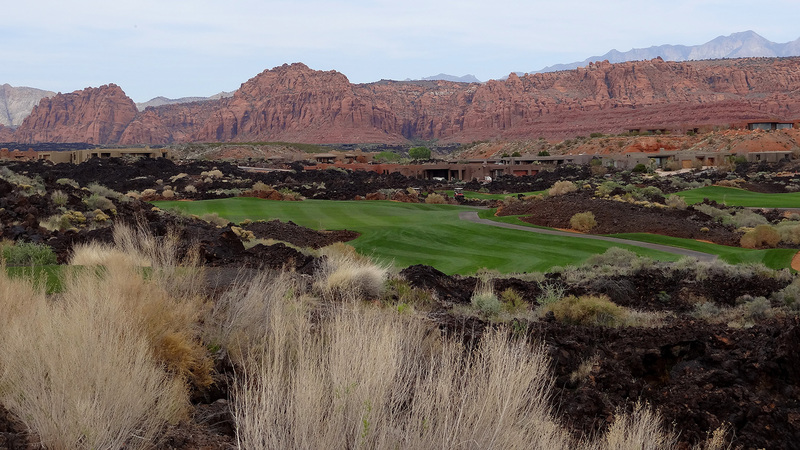 Best Par 3: 14th – 229 Yards – From the tips, a sliver of grass is viewable above the sagebrush and below the red rock mountain backdrops. That sliver of grass is the green that rests about 230 yards away and requires a forced carry most of the way there. With the fairway coming in from the left, the hole calls for a fade the starts over the grass on the left and cuts in towards the putting surface. 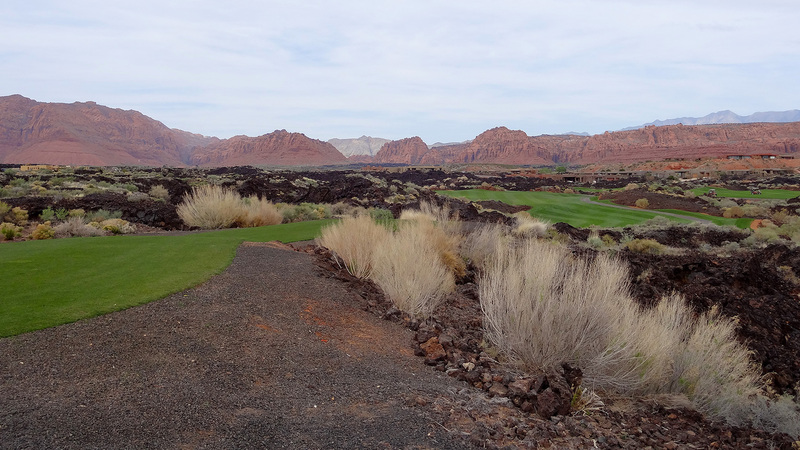 It is the final par three of the day at Entrada and also its most demanding. Best Par 4: 2nd – 410 Yards – Water comes into play on a few holes on the front nine, but none is more prominent or intimidating than at the 2nd hole. Thankfully, the hole plays less than the yardage on the card due to the downhill terrain the hole follows. A pond creeps in from the right and tightens down the landing area available with your tee shot. Once safety is found, the approach shot plays to a peninsula green with the bail out area being to the right of the putting surface. 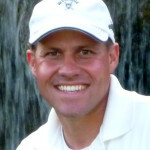 It is a fantastic test that requires precision from tee to green. Best Par 5: 9th – 613 Yards – This long three-shotter features a long tee shot before turning to the right and down the hill. Desert and trees are found on each side of the fairway and await to cause havoc on wayward shots. The slightly elevated green is the final challenge to tame on this finishing hole of the front nine and an introduction to the difficult holes that still await. Birdie Time: 15th – 341 Yard Par 4 – The opening hole of the “Devil’s Triangle” is the tamest of the trio. A fairway metal or long iron is all that is needed off the tee to leave a short iron or wedge in your hand for the approach shot to this amphitheater green. The relatively wide fairway breeds confidence on your tee shot and eases you into treacherous finish that awaits. Go out and get a birdie here, you’re going to need it! 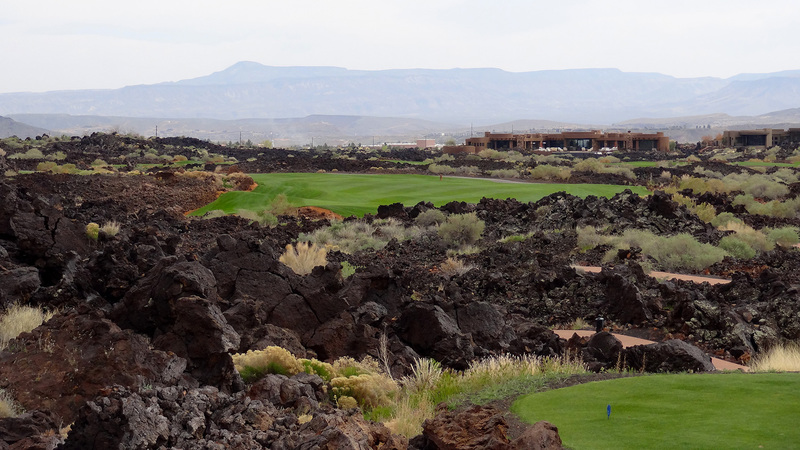 Bogey Beware: 17th – 427 Yard Par 4 – The final hole surrounded by lava at Entrada is also the most challenging. With lava lining each side of the hole, plenty of difficulty if found off the tee. Even more challenging is the approach shot into the green where the fairway gets pinched down by rock and bunkers. 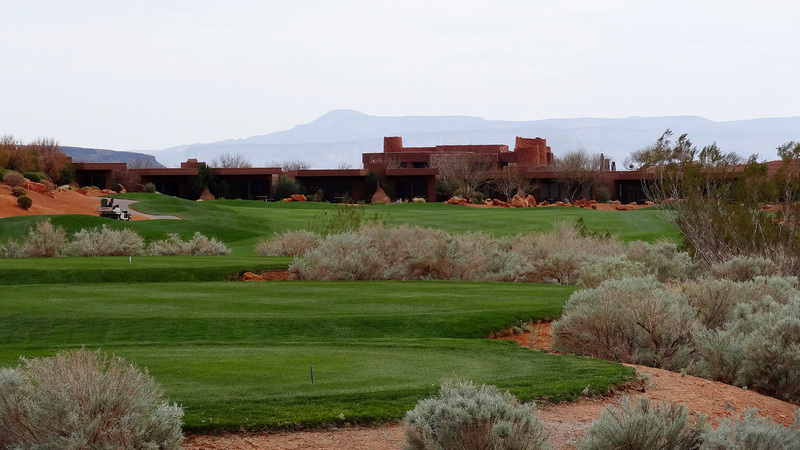 How you play the final four holes at Entrada will likely be how you remember this course; for better or worse.